above you can see all the cables and adaptors we’ve chosen to be part of TDE2012. this is – according to our experience – what you need to be sure to be able to connect anywhere you are. in our small grey box, (click to zoom) you will find our trusted multimeter and some leads. all other cables are more or less standard, except the IEC2, for which i will dedicate an own post when we’re ready. most of the cables are seasoned travellers – we took about 90% of all connectors with us on wave india 2011! 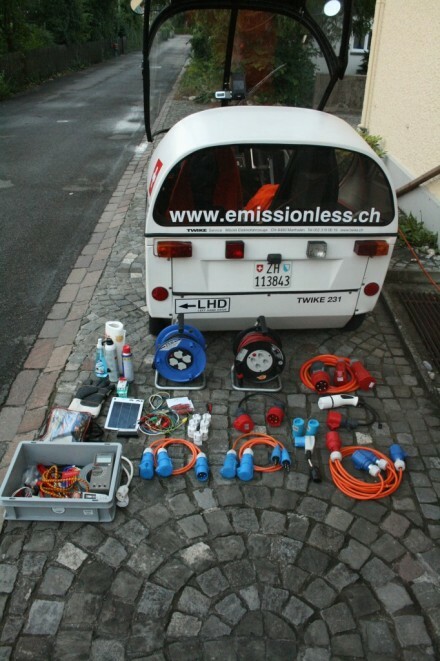 if you are interested in what you might need to travel with an ev, let us know! TDE2012 – all systems GO!